The collection of ice lolly books below offer a huge variation of home-made DIY icy treats. Keeping in mind that these ice treats are not just for kids. In the second half of the post, we have a list of great ice pop recipes just for grown-ups! 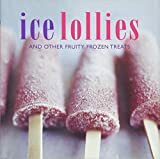 The recipe books for making some of the best ice lollies and ice popsicles for the little ones. Home-made lollies, granitas and water ices made with fresh fruit are both a healthy and budget-friendly option and here you’ll find plenty of fun ideas for the whole family. Recipes are grouped under Ice Lollies, Frozen Treats, Granitas & Water Ices and Sorbets & Sherbets. Ice Lollies and Other Frozen Treats. Feeling adventurous, try authentic recipes for Mexican Ice Pops, Aguas Frescas and Shaved Ice by Fanny Gerson. Nadia Roden began making gourmet artisan lollies in the summer of 2011 at the High Line Park in New York and was soon joined by her nephew Cesar to help her keep up with demand. Cesar brought the business back to London and Ice Kitchen was born in Spring 2013. This inspirational and easy-to-follow recipe book is packed with over 50 fantastic ideas for different ice popsicles, that are perfect for children to make! Make anything from juicy orange and refreshing raspberry fruit pops, to cheeky chocolate and peanut butter pudding pops, the book includes step-by-step instructions and full colour photography. “Pops!” introduces adults to a whole new Popsicle – one that is a fun, fashionable food. 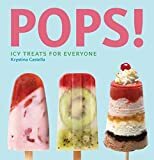 This original compendium includes more than 100 recipes for ice pops with unique tastes and flavour combinations, such as Sour Plum, Sweet Martini, Thai Iced Tea, and Blueberry Cheesecake-Popsicles that today’s grown-up kids will be proud to serve. In 2008, three old friends had a hunch that the world deserved a better ice pop. Every summer since, New York City’s been taken by storm with out-of-the-box flavors like Raspberries & Basil, Peach & Bourbon, and Cantaloupe & Tarragon from People’s Pops. The recipe book lets you enjoy all those flavors at home. Bring a twist to your favourite boozy drinks by freezing them into cute poptails. Combining classic cocktails with the fun of iced lollies, poptails are the latest trend to take foodies by storm. With mouthwatering recipes from creamy Irish Coffee, fruity Appletini and exotic Flamingo Fling, discover new ways to enjoy your favourite spirits and entertain with style. Packed with recipes for cocktail-inspired gourmet ice pops, this book shows you how to make the coolest creations ever served on a stick. Nothing is more refreshing on a hot day than a cool ice pop. But why settle for boring old orange, grape or lime when Poptails offers cocktail-inspired delights for icy treats with an alcohol-infused kick.